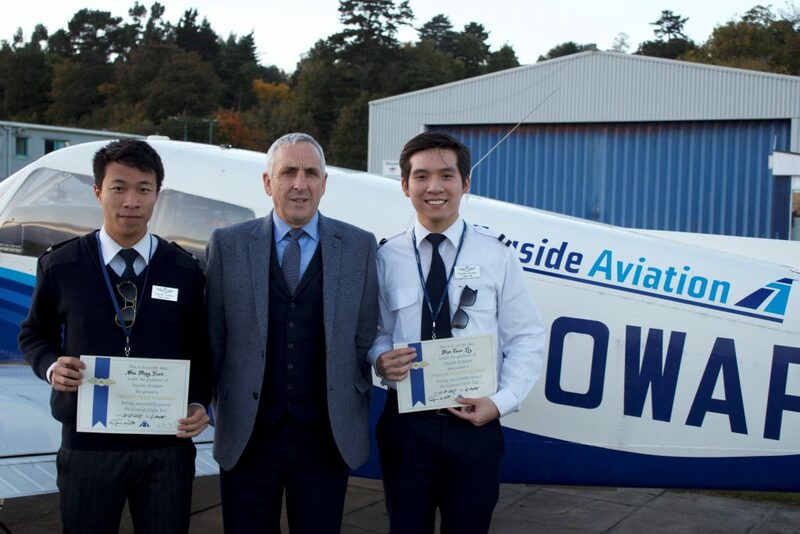 Two scholarship winners from Hong Kong have received their ‘wings’ after travelling to Scotland for flying lessons. 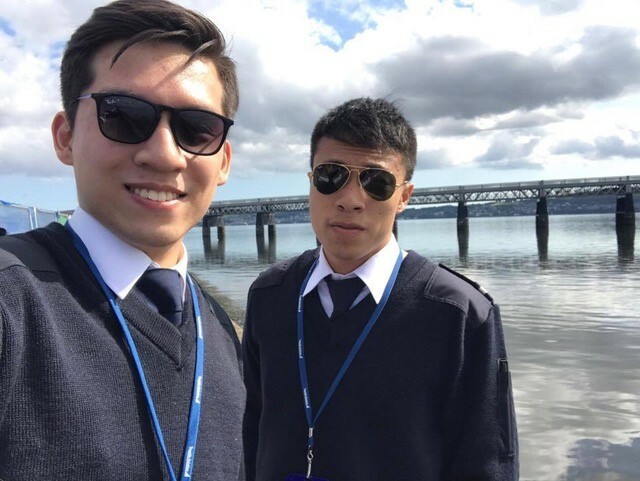 Huen Siu Ming (Felix), aged 22, and 23 year old Ng Man Tsun (Jason) have completed Tayside Aviation’s 45-hour, six-week programme to attain their Private Pilot’s Licence (PPL). Tayside Aviation train around 16 Hong Kong students each year and the two students are now likely to pursue their commercial pilot’s licence which may lead them into one of the major airlines in Hong Kong. Felix’s training in Dundee was funded by the Hong Kong Aviation Club Foundation Youth Flying Scholarship, who sponsored both his course and accommodation. Meanwhile, Jason’s training and accommodation was funded by the Dr Lily Fenn Youth Flying Scholarship, offered by Dr Lily Fenn Education Foundation Limited. Dr Fenn is a well-known solicitor in Hong Kong and the first woman to obtain both a PPL in fixed wing aircraft and helicopter. Lily is keen to inspire young people by offering them opportunities to explore and study different areas of law and aviation. Jason said: “Tayside Aviation is an amazing flying school which provides a very high standard of training. The instructors are very experienced, the best of the best! The training and examinations are challenging and intensive, which is why they have nurtured so many excellent pilots over the past few years. Tayside Aviation trains some 200 flying scholarships each year for the RAF, Air League Educational Trust and GAPAN. Tayside Aviation, which will celebrate its 50th anniversary next year has also held the Ministry Of Defence contract to provide the training for the Air Cadet Pilot Scheme since 1992.